Cancer Doctors Open To Medical Marijuana : Shots - Health News About half of oncologists recommend medical marijuana to patients, though most feel ignorant of its proper medical use. "Unfortunately, at this time, the evidence base to support medical marijuana's efficacy in oncology is young," Braun says. "So, often oncologists are borrowing from clinical trials for other diseases, or extrapolating from evidence on pharmaceutical-grade cannabinoids." "This is a product that is well-known," says Mitchell. "It's a product cancer patients think will help them, and they're going to ask their doctors about it, which is what they should be doing. They should be advocates for their own health." 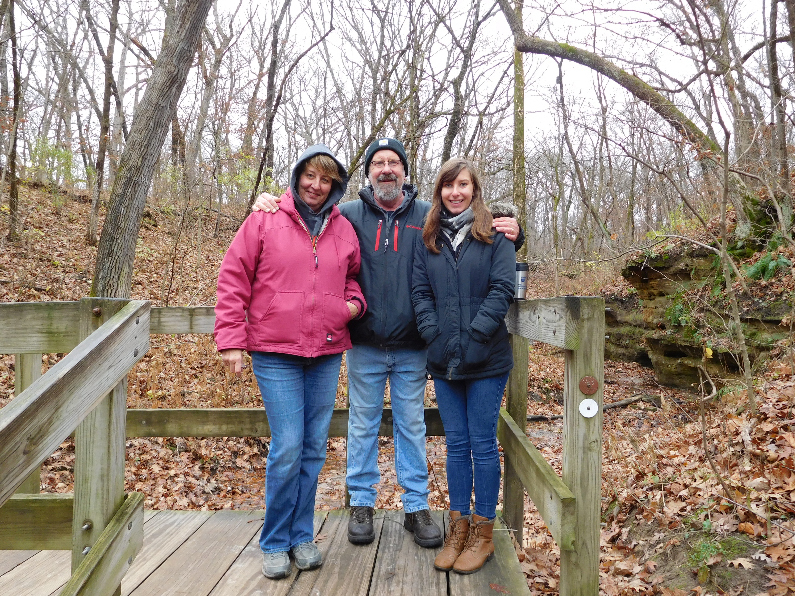 "Chemo feels like the worst flu you've ever had — just ongoing and ongoing," says Lenkart, who lives in Springfield, Ill.
Larry Lenkart (center) with his wife Karen (left) and daughter Maggie in 2016. "The dosing part is what you have to really fiddle with," says Lenkart. In the end, Lenkart says, marijuana is helping with his symptoms of nausea, pain and mental fogginess. "It makes an unbearable situation bearable," he says. For example, for chronic pain treatment: "You've got opioids, which clearly have problems," Mitchell says. "You've got nonsteroidals, which can work but are sometimes not effective for substantial cancer pain. Well, that's all we have in our toolbox. And if that's the case, then you have to back up and say, 'Well, perhaps I'm okay with anecdotal evidence.' 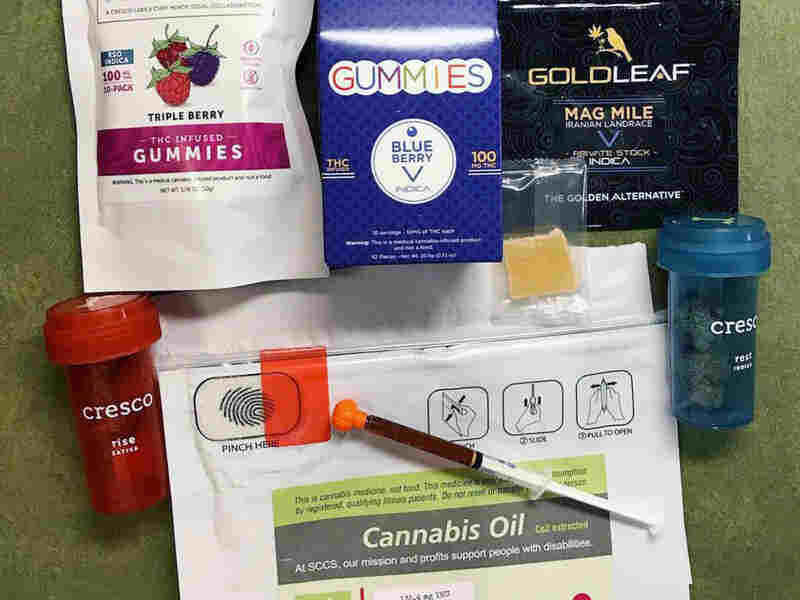 "
Lenkart purchased a selection of products at a cannabis dispensary in Illinois to try to help manage symptoms of chemotherapy. "I'm in the process of installing an alarmed safe behind locked doors" in order to store the controlled substance, she says. "It's complicated." Braun says she "strongly believes federal restrictions should be loosened to facilitate medical marijuana's potential beneficial attributes, not just its risks." 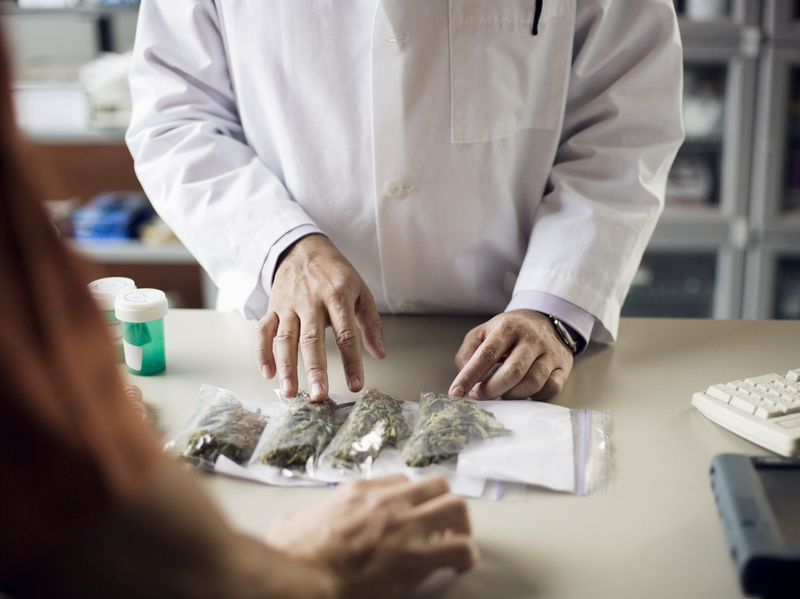 Without randomized controlled trials, he says it's hard for oncologists to know the tradeoffs they're making when they recommend medical marijuana over treatments that are "standard of care." "And that's a big problem," Mitchell says. "That's a big knowledge gap."